A low energy ceiling fan can be a terrific addition to your home’s electrical system. When you install a new ceiling fan, you can save electricity, while also reducing your reliance on your central HVAC system. A company that offers LED lighting near San Jose can help you choose and install an energy efficient ceiling fan in your home. Once you have installed your new ceiling fan, it will be your job to make sure that your unit remains clean and properly maintained. 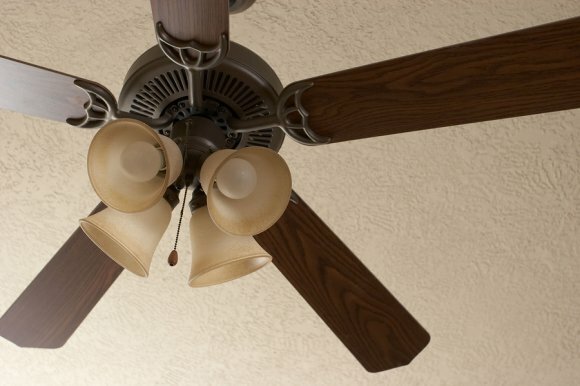 There are several simple ways to clean a ceiling fan in your home. With the fan switched to off, you can use a ladder to reach its blades. In order to remove dust and debris from the blades of your ceiling fan, use a simple cleaning solution of water and vinegar. Once you have sprayed down all of the blades, you can wipe them clean using a ceiling fan duster. 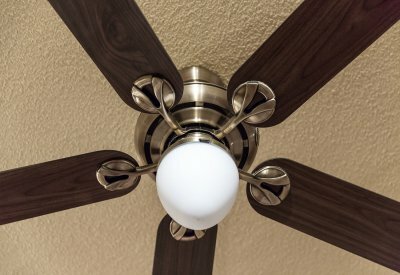 If the summer heat is starting to make you and your family members feel like you are melting, now is a fantastic time to contact your LED lighting specialists in San Jose about setting up a new ceiling fan installation for your home. Low energy ceiling fans can help you save energy at home, while also keeping your indoor spaces cool and comfortable. Before you purchase and install new ceiling fans , you may have some questions about your upcoming procedure. Read on for a look at answers to some of the most commonly asked questions that homeowners have about ceiling fans. 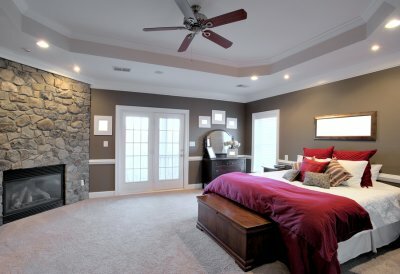 What size ceiling fan should I get? The size of ceiling fan that you should purchase is dependent on the total square footage of your room. A typical ceiling fan is 42 inches in diameter, and this size is appropriate for a room that is 12 feet by 12 feet. If your room is significantly smaller or larger than 12×12, you may need to shop for a fan that has a non-standard blade length. How far should the fan be from the floor? When your contractors install your ceiling fan, they will measure carefully to make sure that the blades of the fan are an appropriate distance from the floor. To keep your family safe from injury, it is typically recommended that your ceiling fan is installed with at least 7 feet of clearance. Rooms that have vaulted ceilings or other architectural features, however, many need to have customized fan heights. Can I install my ceiling fan on my own? Some homeowners are tempted to try and install their ceiling fans using tools that they have around the house. Attempting a DIY ceiling fan installation, however, can be very dangerous. In fact, certain areas require that all ceiling fans are placed by professional contractors. To make sure that your ceiling fan is safely secured to your ceiling and outlet, you should always hire a professional to perform this service. As is the case with any appliance you might set out to look for, you should think about why you need it so that you can choose the best one. A ceiling fan can be a low energy fixture that makes a significant difference in terms of the comfort of your home. Some homeowners decide that it’s time to upgrade their ceiling fans for purely aesthetic purposes, while others purchase new fans because their old ones became worn out over time. Remember that new fans can help you save electricity, especially when used properly in conjunction with an efficient air conditioner. Not all ceiling fans offer the same benefits, so think about what you want out of yours. If you want a ceiling fan that will help you save electricity, cut down on energy bills, and keep your home at your preferred temperature, it’s never a bad idea to ask the experts for help. A company that specializes in ceiling fans, lighting, and energy efficiency should be able to point you in the right direction without any trouble. This can make the buying process much simpler, as you’ll have a qualified guide to walk you through it. Ceiling fans can go outdoors or indoors as well as be traditional or modern styled. Aesthetically, it’s wise to look at a few options and think about which one would make the most sense given how your space already looks. Find a fan that is cosmetically pleasing as well as energy efficient and functional. The rise of digital technology has allowed more and more employees to work from home all or part of the time. If you are planning on getting tasks done from the comfort of home, you will want to make sure that you create a great lighting design for your home office. By choosing LED bulbs and lighting fixtures , you can save electricity while also preventing strain on your eyes. A contractor that specializes in LED lighting near San Jose can help you select the right fixtures to light every space in your home. Let’s explore some factors to consider when you are choosing lighting for your home office. When you are creating your home office lighting design, you will want to make sure that you include ambient lighting in your plans. Ambient lighting can come from a window, or from lights that are not aimed directly at your work area. With a properly planned ambient lighting design, you will be able to create a cheery and inviting atmosphere in your home office. Once you have set the mood with ambient lighting, your next project will be to work on task lighting. Task lighting is any light source that directly illuminates your work area. To avoid straining your eyes as you work, you will want to make sure that your desk receives plenty of task lighting. Task lighting can come from lamps, or can be sourced from overhead fixtures. Energy efficiency is a final factor that you will need to consider when you are choosing lighting for your home office. If you invest in energy efficient LED lighting, you will be able to reduce the monthly energy bills that are associated with operating your home office. When you spend hours working in your home office every week, you are sure to appreciate the energy efficient performance that your LED light bulbs have to offer you. A lighting company will be thrilled to assist you with every step of setting up your home office lighting design. The winter season is in full swing, and now is a terrific time to make sure that your fireplace is ready to keep you warm and cozy during the coming months. If you are tired of building conventional fires in your fireplace, it may be time to talk to a contractor in San Jose about gas to log conversions . Unlike fireplace inserts, which can be tricky to install, gas log conversions are beautiful, efficient, and can be installed in less than a day. 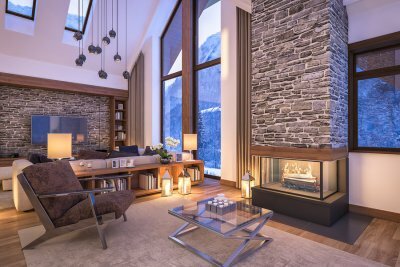 Here is a look at three reasons to choose gas log conversions over fireplace inserts. Your fireplace is a focal point for your living room. When you are planning on updating your fireplace and hearth, you will want to make sure that your installation is an attractive addition to your household. By design, gas log conversions are much more appealing than fireplace inserts. Once your new gas log fireplace has been installed, it will be nearly indistinguishable from a conventional fireplace. With a new gas log installation in your fireplace, you can rest assured that you and your loved ones are extremely safe. A fireplace insert could run the risk of igniting a spark inside your household. By contrast, gas log conversions are specifically engineered to prevent fire risks and keep your home’s interior free of smoke and flame. If you have safety concerns regarding your fireplace, a gas log conversion may be the best choice for your needs. Another benefit of a gas log conversion is that this type of update is incredibly easy to install. When a technician comes to your home to create a gas log conversion, he will not need to install complicated ductwork or other systems. Instead, your gas log conversion is completely self sustaining, and can even be operated from a battery pack or other remote system. If you want to improve your fire during the current winter season, be sure to consider a gas log conversion. A ceiling fan is an excellent addition to any home. In addition to cooling down your indoor spaces during the warm season, a ceiling fan can help your heating system operate more efficiently, saving you money on energy. You’re likely familiar with the benefits of an indoor ceiling fan, but do you know that an outdoor ceiling fan can deliver a number of benefits as well? Your local San Jose ceiling fan experts can tell you more. Outdoor ceiling fans are similar to their indoor counterparts, only outdoor models must be able to withstand the elements. Many outdoor ceiling fans have all-weather blades made with a special kind of plastic, and have waterproof motor casings. Outdoor ceiling fans also have powder-coated paint finishes to prevent rust or other types of damage that may result from outdoor exposure. In terms of purpose, outdoor ceiling fans are similar to indoor ceiling fans—when you’re enjoying your patio on a warm summer day, you’ll be mighty thankful to have your outdoor fan simulating a nice breeze. One of the first tasks to complete every fall and spring is to change the direction of your ceiling fans. It is suggested by Energy Star , which is a government-backed labeling program, to turn ceiling fans counterclockwise during the summer and clockwise during the winter. This will better facilitate the airflow of warm and cool air throughout the year. Coupled with an efficient heating and cooling system, you could experience greater energy savings and leave a more positive impact on the environment. Whether your ceiling fan is running or still, it is collecting dust, dander, and hair from the surrounding room and the people who enter. Dusting your ceiling fan blades should already be a part of your regular house cleaning and maintenance. With switching the direction of the fan, however, you may disrupt the collection of dust and dirt. To avoid dirty and potentially harmful dust from flying all over your house, clean your ceiling fans’ blades regularly and especially before switching the directions. In addition to dusting your fans’ blades throughout the year, it is necessary to conduct seasonal maintenance on the blades and fan itself. Over time, your fans may become wobbly or unbalanced. If you notice your fans wobbling or shaking, either when they are turned on or off, then ensure the connections are aligned. Some blade holders may be misaligned, causing the entire unit to shake. If the blades appear to be aligned properly, then you may need to use an included balancing kit to keep the fan unit steady. Whether you are constructing a brand new home or are preparing to renovate your existing spaces, it is very important to consider how lighting can be incorporated in your remodel. Lighting is essential for creating visibility, appeal, and style in any indoor space. With the help of a company offering lighting fixtures near San Jose , you can select the right design for your ceiling. From recessed lighting to chandeliers and more, today’s lighting trends run the full spectrum of function and fashion. 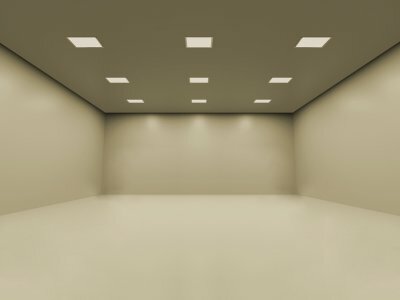 To help you pick out your new lighting, here is a look at some of the most popular ceiling lights. When you are shopping for new lighting for your home, chances are that you will come across several different types of pendant lights. Like chandeliers, pendant lights are designed to provide a focal point for any room. Today’s pendant lights come in a variety of sculptural and artistic styles, so you can choose the perfect pendant light to match with the interior design scheme of your room. If you are seeking new ceiling lights that will create a dramatic impact without taking up very much space, you may want to consider recessed lighting. This type of lighting is installed in the ceiling of a home. With recessed lighting, you can choose to highlight a certain area, architectural feature, or decorative element in your room. Since recessed lighting does not extend past the surface of the ceiling, this type of lighting is great for small spaces. To create a dramatic statement with your ceiling light design, you may want to consider installing a gorgeous chandelier. When you are shopping for a contemporary chandelier, you will have a wide array of materials and styles from which to choose. Modern chandeliers are made from unique materials that are sure to make a stunning statement in any room. With the help of your lighting professionals, you can make the best choice when it comes to your ceiling lights. The summer season is about to arrive, and now is a fantastic time to work with your lighting company to install new ceiling fans throughout your home. Not only can ceiling fans help to circulate your indoor air, but a new ceiling fan installation can also help to boost the efficiency of your HVAC system. With the help of a company offering lighting in San Jose, you can choose gorgeous and functional ceiling fans that will pair perfectly with your current lighting fixtures. To help you prepare for your installation, here is a look at some factors to consider when choosing ceiling fans. When you are shopping for new ceiling fans, it is important to consider the sizing of your installation. Each ceiling fan model is designed to provide optimal air flow in a certain square footage of room. For example, if you are installing a ceiling fan in a large room with a high ceiling, you may want to shop for a fan that extends at least 15 inches from the top ceiling surface. As you are shopping for a new ceiling fan, it is also a great idea to evaluate the different controls and features that your ceiling fan model has to offer you. For example, if you are seeking fantastic convenience and efficiency from your ceiling fan, you may want to choose a model that can be connected to your current home automation system. Other types of ceiling fans are controlled by cords or switches on the wall. Along with considering the functionality of your ceiling fans, it is also essential to choose fans that match the style of your home’s interior. For example, if your house has a craftsman look and feel, you may want to choose ceiling fans that are constructed from dark wood and other premium materials. 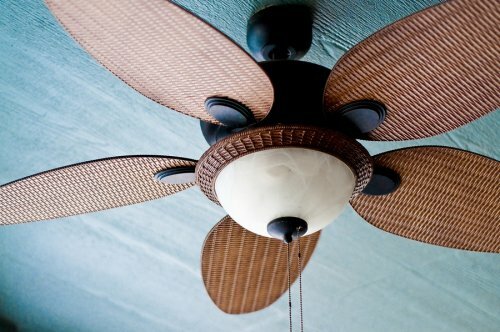 Other ceiling fans that are made from wicker or other lightweight materials can provide your home with a tropical flair. There are many advantages to installing a ceiling fan in your home. A ceiling fan can cool down a room, help your HVAC system to work more efficiently, and serve as the perfect source of ambient lighting in any room in your house. 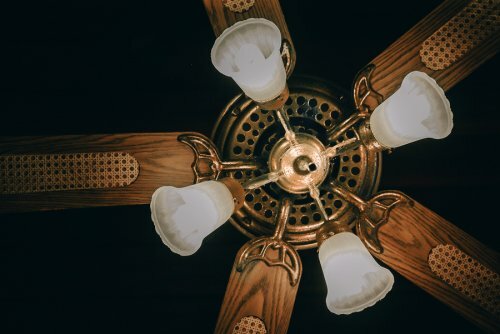 Wright Lighting and Fireside installs ceiling fans in San Jose and can tell you more about how a ceiling fan could benefit you and your family. When you decide you want a ceiling fan, you will find that there are many different options. There are indoor and outdoor ceiling fans as well as traditional, contemporary, and modern models. Some provide one large source of lighting, while others have three or four lightbulbs on them. Narrowing down all of your choices won’t be easy, but we will speak with you about your home’s needs and find the ceiling fan that’s right for you. When you work with Wright Lighting and Fireside, our goal is to provide you with excellent customer service and help you install the ceiling fan that will be most beneficial for your home. Got a New Fireplace? Plan a Romantic Date Night at Home! San Jose Fireplace & Lighting Specialists. Wright Lighting and Fireside. ©2018 All Rights Reserved.